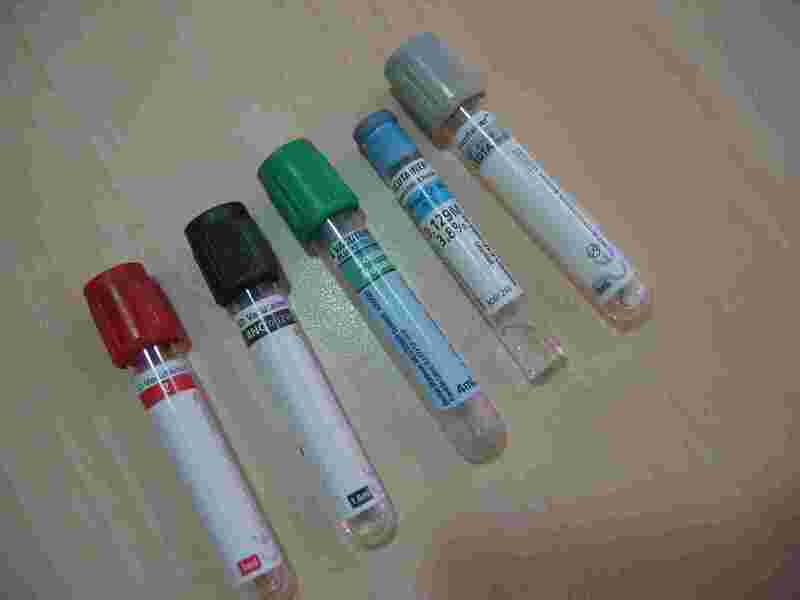 POST for blood tests: Depending on how much blood is needed for a test, a provider may use a needle and syringe or vacutainer (see below) to take several cubic centimetres of blood from a vein, or use a lancet to take several drops of blood from a finger. 1. Avoid skin-piercing procedures (a) Avoid unnecessary tests. Ask your doctor the purpose of each test that he or she recommends. (b) Keep your test results and records safe, so that you can avoid repeat tests when going for further treatment. (c) If a provider wants to take blood from a vein, ask if the test can be done with several drops of blood from a finger. 2. Use new disposable instruments Ensure that all blood samples are taken with new syringes (or vacutainers) and needles or with new lancets taken from a sealed package in front of you. You may buy and bring these yourself, or the doctor may have his own supply in sealed packages. 3. You sterilize the instruments If you know or suspect that a lancet has not been sterilized after previous use, you may sterilize it by holding it in a flame for several seconds until the metal becomes red hot, and then air cooling it before use. 4. Ask providers how they sterilize instruments Not applicable. Syringes, vacutainers, needles, and lancets are all so cheap that you should insist on new disposables for every test. Collecting blood from a vein: Some tests, such as for syphilis,require several cubic centimeters of blood, which is collected from a vein. For adults, blood from a vein – venous blood – is usually taken from the arm. Venous blood is often collected with a syringe and needle. Venous blood may also be collected with a vacutainer – a small glass vial with a rubber cover, and with the air sucked out to create a vacuum – and a special needle with points at both ends; one end of the needle is put into the vein, and the other end punctures the rubber cover of the vacutainer. 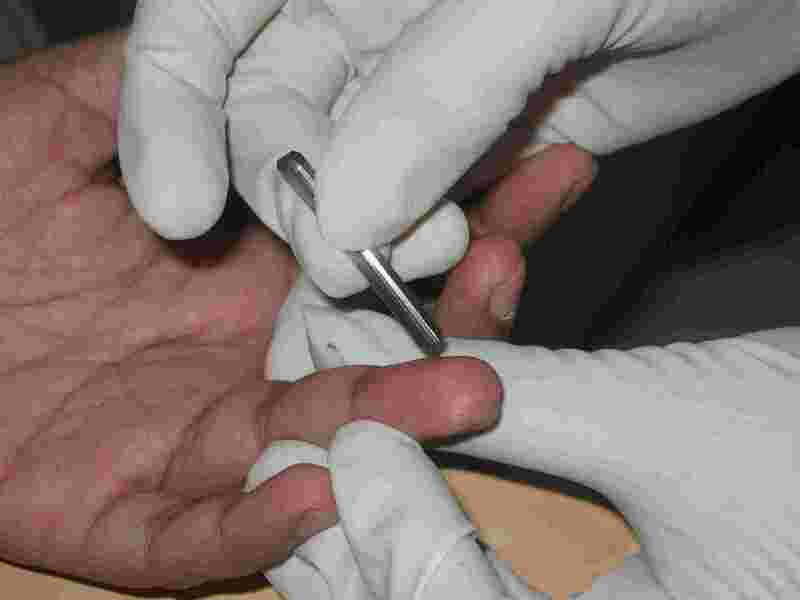 Collecting blood from a finger or toe: For some tests, such as for malaria parasites, several drops of blood may be collected from a finger prick (or toe prick for babies) using a lancet. If a provider reuses a syringe and needle from an HIV-positive patient without any effort to clean to draw blood from your vein, your risk to get HIV may be estimated at 3%-10% (this is similar to the risk from an intravenous injection; see Table on Estimated Risks in Blood-borne risk section). If a provider reuses a lancet from an HIV-positive patient, without any effort to clean, to take blood from your finger, your estimated risk to get HIV is less than 1%. Although a finger-prick jab goes as deep as a deep needlestick accident, the lancet does not have a hollow core like a needle, so the risk is less than from an injection. If the provider uses a new syringe and needle, vacutainer, or lancet to take your blood, you have no risk to get HIV from the procedure. From national surveys in 10 African countries, among women who gave birth in the 5 years before the survey, women given blood tests during antenatal care were 1.23 times more likely to have HIV infections than women who were not given such blood tests (see Table in the Antenatal care section). If a syringe was used to draw blood from a HIV patient and then it is used to draw blood from another patient, is it possible for the test results to come out positive due to drops of blood in the syringe? The same syringe should never be reused as it carries a risk of transmitting blood-borne pathogens such as HIV, but also hepatitis, Ebola, bacterial infections, etc. No one should be exposed to a reused syringe. I recently visited a free STD clinic in an underprivileged neighborhood in the Los Angeles area. I was not paying attention as to whether the STD clinician (in civilian clothing which was concerning) used a clean needle or syringe, and he did not take the lancet out of a new package (he drew blood for general STD testing and used the lancet to test for HIV). 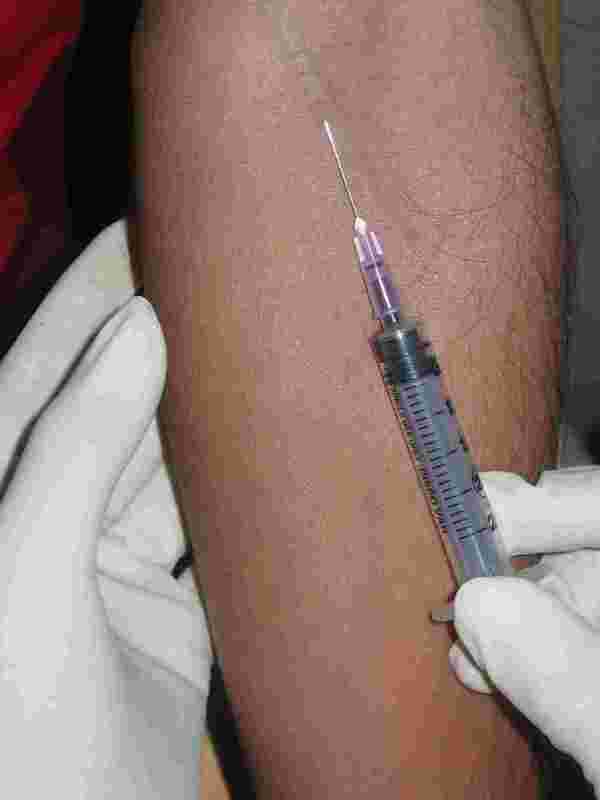 I get nausea from looking at needles, so I decided not to look at the needle at all. and therefore am unaware as to whether or not he used a new needle. Everything seemed fine otherwise, but now i feel nausea’s and I am afraid I could have contracted HIV from a potentially non-sterile needle. Please let me know if this is at all possible, and if so, what steps you would take to check if I could be infected. Hi Hank, thank you for your comment. I think practices in US health facilities are generally safe, so you are unlikely to be in any danger! Bear in mind, almost everything on this site is about developing countries, where conditions in health facilities can be unsafe. However, you are perfectly entitled to raise your fears with the clinic you visited. For example, you could ask about sterile practices and safety more broadly. You could also explain that you feel nausea, which means you will look away when the lancet/needle is being inserted. Many people feel this and the practitioner should listen to what you have to say. If you don’t get satisfaction at the STI clinic then you should go somewhere else. You could even take someone else with you, so they could help you to observe, and they could give you support during what many people, naturally, find stressful. I would like to ask if the nurse palpated the vein without using gloves and drew the blood without using an alcohol swab. Isit possible to contract hiv or any std? As it is a hiv/std testing clinic I am afraid that the doctor might have came into contact with hiv/std infected blood and palpated me and drew the blood from me. Hi Jayden, it’s always better to discuss these worries with a doctor or other health professional and if you are not satisfied, get a second opinion. However, there is no risk from the nurse or doctor palpating the vein. There would only be a risk if the equipment used was contaminated. To be infected with HIV, you would have to come into contact with the blood or bodily fluids of someone else, and this would need to go beneath your skin, perhaps via a wound or by coming into contact with a mucous membrane. These would be a highly unusual set of circumstances during a visit to a clinic of any kind. Thanks for your note. The response to an HIV infection is not likely to be apparent the next day! But you are worried. It may be useful for you to talk with a GP or someone you trust who knows your situation and has some idea about the clinic. whats a gp? what’s that? i still have i a little warm? temperature was 98.4 then 98.9 today now it’s 98.3? at night i would feel warmer. that was 1am in the morning. but i went to the hospital Tuesday October 9, 2018. they gave me iv and ran some blood. said my hemoglobin was fine and they ran another test for infection. but that takes a few days? so if i get a call then it’s an infection? they told me to drink fluids and rest. but i go to my pcp October with the nurse who draw my blood whom i didn’t pay attention to needle. i hope she did not use no dirty needle. I’m in panicked mode. I’m talk to my pcp monday about the situation? hopefully i don’t make a fool of myself. what if they reused the BD VACUTAINER ECLIPSE NEEDLE? what’s the outcome and chances of infection? do you get sick in a few days? can you tell how the needle goes in? pain? or irritation? any bruising after one use or so? No disposable equipment should be reused. Someone else’s blood should never be introduced to your blood supply through the reuse of disposable equipment, nor from the reuse of unsterilized equipment. It’s not just a risk, it’s a dangerous practice, and those engaging in such practices are regularly investigated and lose their licence to practice. If you have questions such as how to respond, you should talk to a health professional.